Featuring on stud and one drop, this earring set combines classic with contemporary with this pairing. 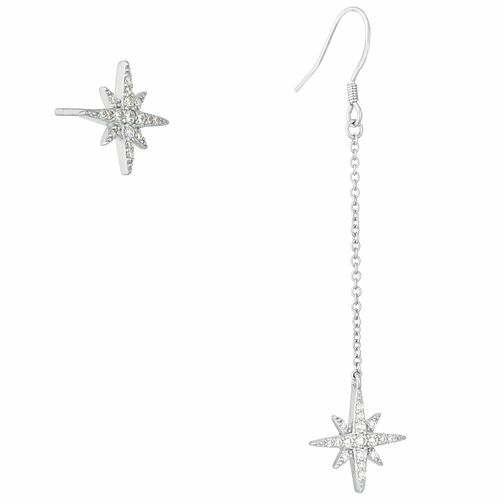 With two gorgeous 8-point stars, these earrings sparkle with their set Cubic Zirconia crystals at every twist and turn. The perfect duo to add some elegance and fun flair to your accessories.